Brandon Muse is from Mountain View, AR. He is the recipient of the 2018 General William Y. Smith Memorial Scholarship. Brandon is currently working toward an Associate of Science - Professional Pilot degree, as well as an Associate of Applied Science - Commercial Pilot degree. Brandon obtained his Private Pilot License in August of 2018 and is currently pursuing his Instrument Rating. He plans to start the Commercial-Multi Program in Spring 2019. He plans to earn a CFI to build his hours and eventually fly for Fed-Ex. as they pursue their careers in Aviation. Originally from Memphis, Tennessee, Auxilius fell in love with aviation on a plane ride to Alaska with his family. Intrigued by the fact that his Grandfather was a pilot in WWII at the age of 17, Henderson State's Aviation Program caught his eye. In his Freshman year as a student pilot who took his first solo flight last October, he hopes to have his Private Pilot in January - with a longterm goal of flying for FedEx. Simeon was born in West Plains, Missouri, but has lived most of his life in and around Cherokee Village, Arkansas. Thanks to his grandfather, a notable pilot, he's always had a keen interest in aviation. By the end of next Fall, Simeon will have graduated from Ozarka College with an AS Aviation-Professional Pilot’s Degree and a Private Pilot certificate. Afterwards, he plans to get his instrument rating and a commercial license. His goal is to ultimately serve the global community by working as a pilot in the mission field. Brandon is from Mountain View. He is currently attending Ozarka College, working toward an Associate in Science, Professional Pilot Degree. Brandon plans to obtain his Private Pilot and Instrument Ratings and go on to pursue a Commercial License. His goal is to work as an ATP. Clay lives in Melbourne, Arkansas. He will graduate from Ozarka College in May and plans to attend Henderson State University in the Fall to obtain his Bachelors Degree as a Professional Pilot. Clay's goal is to become a professional pilot. Originally from Memphis, Tennessee, Seth currently lives in Haskell, Arkansas, on his family's farm. He's a Freshman at Henderson State University with 25 flight hours majoring in Aviation on the Professional Pilot Track. Seth hopes to earn all his certificates at Henderson State, finishing an ATP certificate. 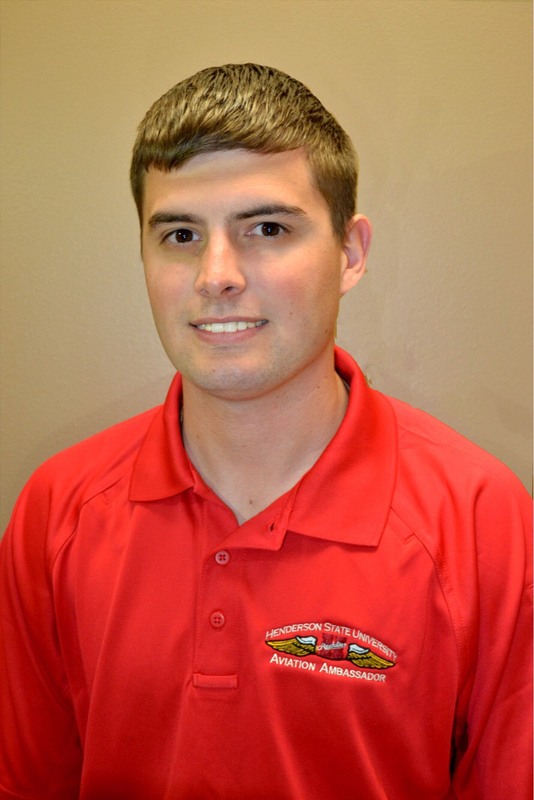 Zach was born and raised in Jonesboro, Arkansas. He credits his father for having taken him to air shows, aviation museums, and assembly of model aircraft for his passion for aviation. 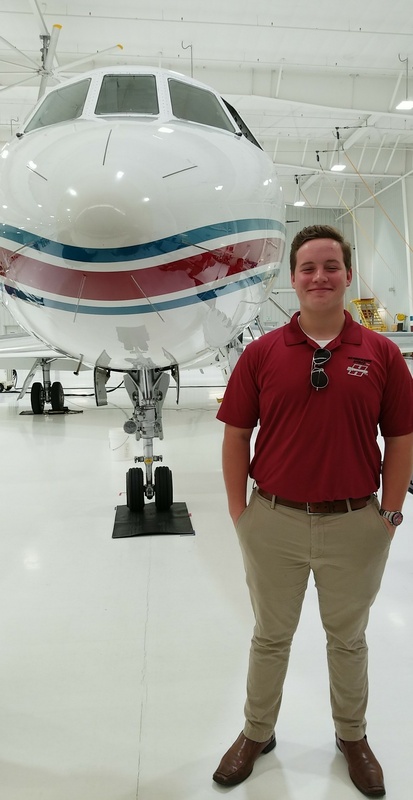 Zach has always dreamed of becoming a pilot, and is now attending Henderson State University in pursuit of a Professional Pilot Degree. He is a member of the Alpha Eta Rho chapter at Henderson. 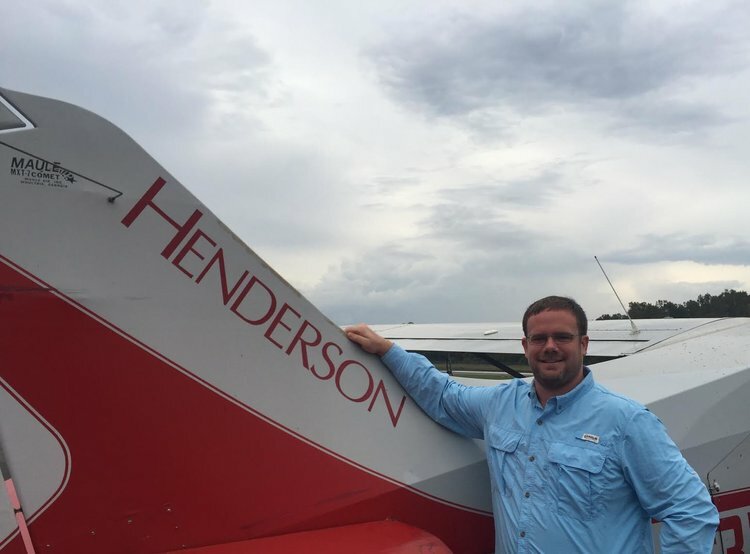 Henderson's Department of Aviation is Arkansas' only university program offering a four-year Bachelor of Science degree specifically in aviation. The aviation program is designed to allow a student to qualify for Federal Aviation Administration (FAA) certificates and also complete requirements for a Bachelor of Science degree. Flight training is offered to qualify for the following certificates and ratings: Private Pilot Certificate, Commercial Pilot Certificate, Instrument Rating, Multiengine Rating, Flight Instructor Certificate, Instrument Instructor Rating, and Multiengine Instructor Rating. Henderson State University is approved by the FAA to certify its qualified students for the Restricted ATP Certificate at 1,000 flight hours. Henderson State University conducts flight training from the Arkadelphia Municipal Airport (M89). Henderson operates the airport's fixed base operation and offers flight instruction, rentals, pilot supplies and fuel services. Utilizing experienced faculty, flight instructors, and 17 aircraft, our goal is to provide students the training and education necessary to prepare them for a career in the professional aviation industry, and in the safest environment possible. Our department offers courses and degree tracks to for students that want to fly for the airlines or for a corporate flight department or manage the fleet they fly and the airports they serve. If you have any, please e-mail us and we will respond as quickly as possible. A comprehensive list of Henderson State's Aviation Courses can be found HERE. Henderson State University's professional pilot program contains in-classroom coursework as well as flight training. The cost for in-class courses and flight training is the same as the university's normal tuition and fees. However, there are additional fees that accompany flight training to pay for fuel and other costs associated with these classes. A student who is dedicated to completing the flight training recommended by the Federal Aviation Association - and in the time period recommended - should plan to spend an additional $50,000 for this portion of the training. 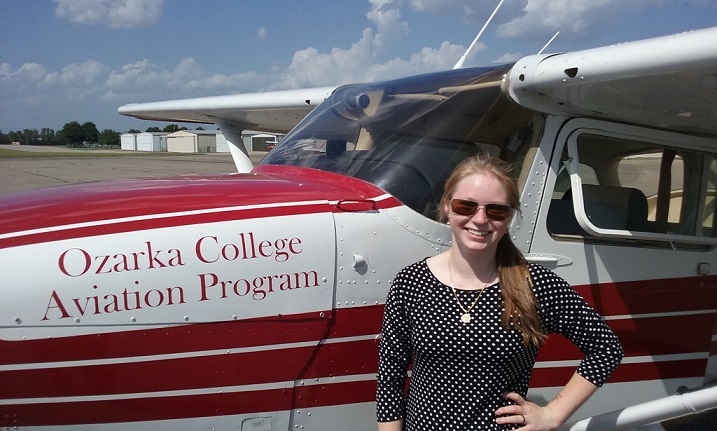 Ozarka College offers an Associate of Science in Professional Pilot - Aviation. This program puts students on the fast-track to becoming commercial pilots. While at Ozarka, students will complete all the required skills to earn a Private Pilot certificate with airplane single-engine land (ASEL) rating from the Federal Aviation Administration (FAA). In addition to admission requirements, student must meet Federal Aviation Administration (FAA) and Transportation Security Administration (TSA) requirements. Students must be at least 16 years of age; read, speak, write, and understand the English language; and provide documentation of U.S. citizenship or nationality. Citizens or nationals of countries other than the United States are required to receive authorization from the TSA prior to commencing flight training. The Associate of Science in Aviation-Professional Pilot provides the first steps into aviation for those students who look forward to becoming commercial pilots and to completing a baccalaureate degree at a four-year college or university. In addition to completing rigorous general education requirements, students learn to fly single-engine aircraft and qualify to take the federal knowledge test and practical exam. This degree will serve as the foundation for advanced flight certification offerings as well as provide seamless transfer degree opportunities to four-year institutions. More about programs and degree requirements HERE. for the purpose of encouraging young people to pursue their careers in aviation. In 2016, four scholarships were awarded at $3,000 each. In 2015, the Arkansas Aviation Historical Society awarded 2 scholarships totaling $4,000 to two students pursuing careers in Aviation. Jared Coleman and Robert Nix received their scholarship awards at the Society's annual Hall of Fame Induction Ceremony and Reception at the CALS Ron Robinson Theatre in Little Rock's historic Rivermarket District. We are excited to follow the careers of these young men as they take flight.